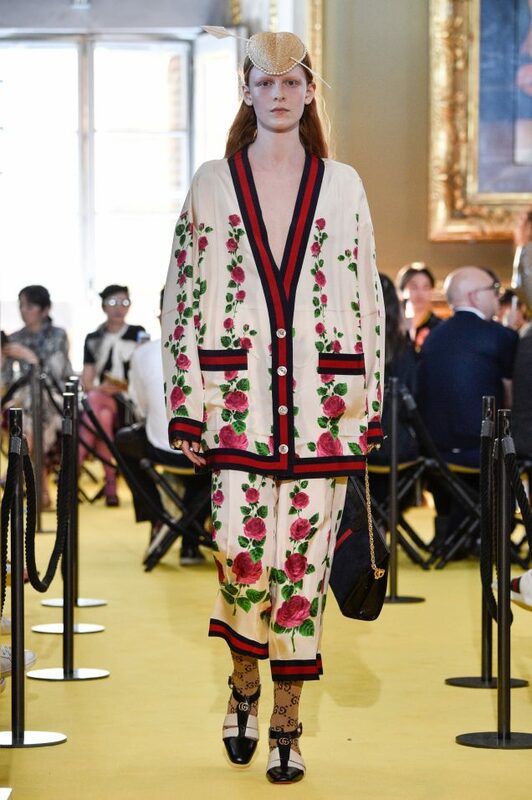 Since Gucci’s Resort 2018 presentation in May, the Italian fashion house has been accused of (illegally) copying other designers’ work on not one, not two, but three separate occasions. Meanwhile, fast-fashion chain Forever 21 is known for regularly ripping off — or taking “inspiration” from — designer clothing. It’s part of the brand’s DNA. Amusingly, the two knockers-off are now locked in a legal battle over how far designers can go in ripping off other designers’ work. 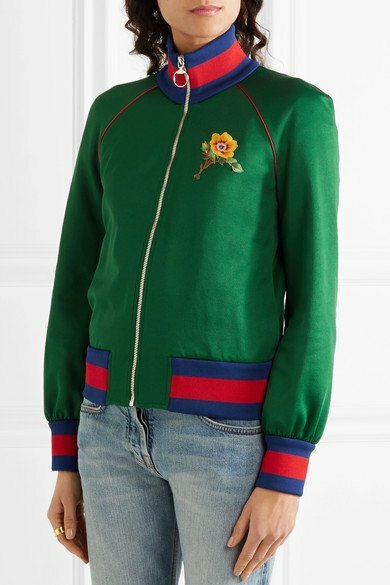 Since December 2016, Gucci has sent Forever 21 multiple cease-and-desist letters insisting that the chain stop selling clothing and accessories that feature blue-red-blue or green-red-green stripes. 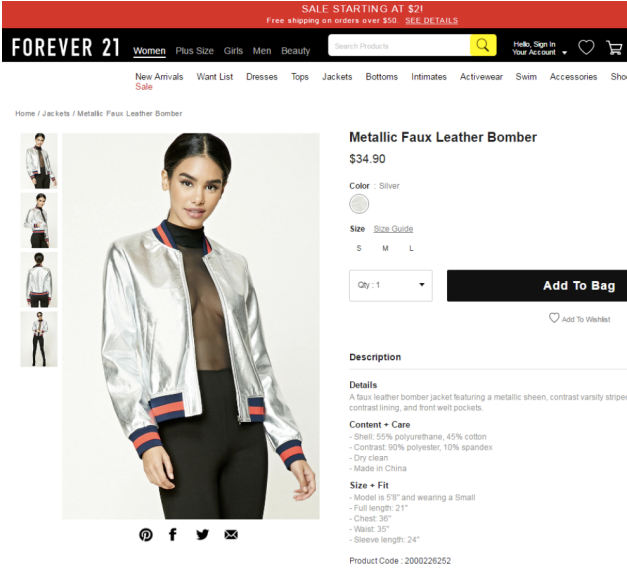 The offending Forever 21 pieces include a blue-red-blue striped choker, three bomber jackets with striped trim and a sweater with striped elbows and trim. Gucci argues that the stripes on these items are “confusingly similar” to its signature stripes. Although Gucci does hold trademarks for its highly recognizable stripe trios, on Monday, Forever 21 filed a legal complaint in the U.S. District Court for the Central District of California’s Western Division arguing that Gucci should not be allowed to claim ownership of multicolored stripes. It’s hard to choose a side. True, Forever 21 has been accused of copyright infringement on countless occasions. Companies including Diane Von Furstenberg, Anna Sui and Anthropologie have sued the brand. That said, Gucci is throwing stones from behind glass walls. If reports are true, indie artists Stuart Smythe and Milan Chagoury are about to hit the Italian label with a similar intellectual property theft suit. Furthermore, Gucci does seem to cherry-pick its battles. Case in point: when Alessandro Michele discovered that New York artist Trevor Andrew was making and selling fake Gucci products under the alias “GucciGhost,” he did not sue. Instead, a capsule collection was born. The Italian fashion house is not backing down. On Tuesday morning, the brand filed two counterclaims within the U.S. District Court, Central District of California, against Forever 21. The first is for willful trademark infringement, trademark dilution and unfair competition; the second calls for a dismissal of Forever 21’s earlier claim that, in the world of fashion design, stripes are essentially public domain. Read Gucci’s official statement below. “Gucci has today taken steps to finally put an end to U.S. mass retailer Forever 21’s blatant exploitation of Gucci’s famous and iconic blue-red-blue and green-red-green stripe webbing trademarks. In two filings today in the United States District Court, Central District of California, Gucci has asked the Court to dismiss the spurious claims that Forever 21 lodged on June 26, 2017, and has brought counterclaims against Forever 21 for willful trademark infringement, trademark dilution and unfair competition. Gucci’s renowned blue-red-blue and green-red-green stripe webbing trademarks have been iconic codes of the House of Gucci for more than fifty years, following their introduction in 1951 and 1963 respectively, with the first U.S. trademark registration of the webbing dating back to 1979. 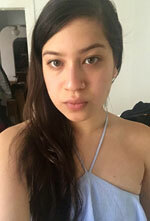 Despite Forever 21’s attempt to use its lawsuit to intimidate Gucci into ceasing its trademark enforcement efforts, Gucci is as committed as ever to protecting its long established intellectual property rights, which are at the heart of the brand’s identity, and to ending once and for all Forever 21’s reprehensible exploitation of its distinctive trademarks and those of other brands who have suffered the same type of piracy. Phew! Marc Jacobs Will Not Be Leaving Marc JacobsAmerican Apparel Is Back, but Is It Better?